The emptiness that you feel right now, will be filled with the fullness of God’s love….praying for you nelle… i love you!!!! Love best manifested to all of you. The passing away of Mama Linda caused us pain but at the same time consolation. Our eyes are witnesses of how Mama Linda is going to rest the Father’s in heaven. Today, February 23 is her interment with the nine priests who guided us in the mass, I am sure many angels and saints will welcome her to sing a birthday song for Mama Linda. Syempre, ang Papa Tony ang nangunguna sa pagsalubong.She will join the Pauline Family in heaven. 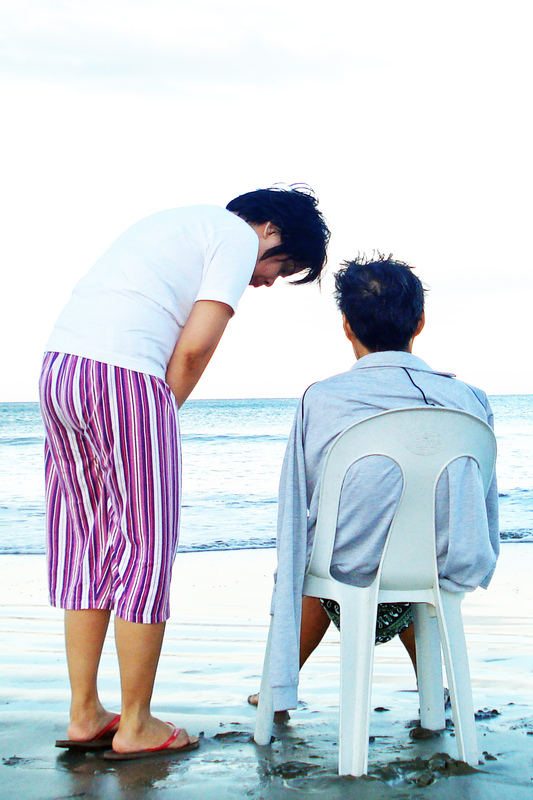 I pray that both ( Papa Tony and Mama Linda ) will pray and intercede for us. Well said. What you wrote reminds me very much of our Nanay too. How lucky we are to have been raised by such wonderful mothers! We can only bow in gratitude. I can relate to the turbulence you went through and the serenity of the spirit of our mothers… What a beautiful lesson to learn from them. What a legacy too! Now we have a new intercessor, Mama Linda. I shall share your blog to my sisters and my brother, if you won’t mind. Please take care of yourself always. As promised, I will be there for you always. You are blessed indeed Adnelle for having such wonderful Mama, loving, caring and very close to our God. She is now in heaven ,one of the angel who looks after you and your 2 brothers. and the Pauline family also.Thank you for sharing your precious thoughts and beautiful moments with your beloved mama.We love you. She once asked me, what do you call Adnelle? Why Kaf? and when she learned about it.. she smiled.. ah so magkapatid kayo… hahaha..
Salamat ng marami sa iyo..
Kaf, you will always be in prayers… together with your other kapatids… and Virgie too..